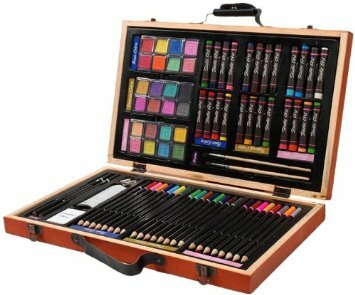 Darice 80 Piece Deluxe Art Set in Wood Case for $17.44! On Amazon you can get a Darice 80-Piece Deluxe Art Set for $17.44!! I love sets like this that are well contained! This set also has great reviews! !